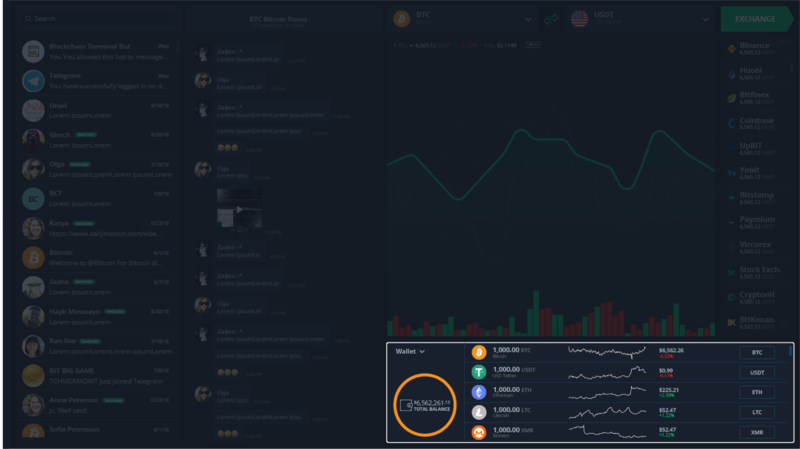 Originally designed for hedge funds, Blockchain Terminal simplifies the world of cryptocurrency. On a single platform, find the tools to trade, discuss and research to master cryptocurrency. BCT raised $31 million in its 2018 ICO. The majority of those funds were applied to development of what we believe to be the most advanced cryptocurrency trading platform in existence. 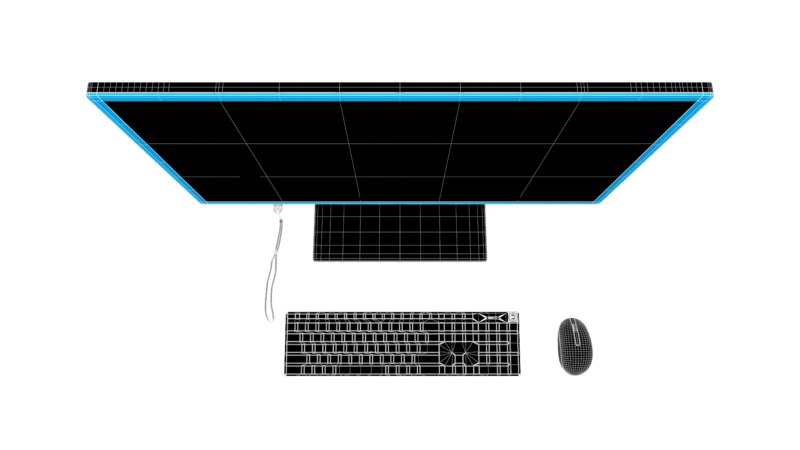 Eight individual programming teams from around the world contributed to terminal software, all in a quest to bring this ambitious vision to fruition in the shortest possible time. Blockchain Terminal is the culmination of an aggressive, fast-moving development methodology, which results in an advancement of cryptocurrency as a whole. 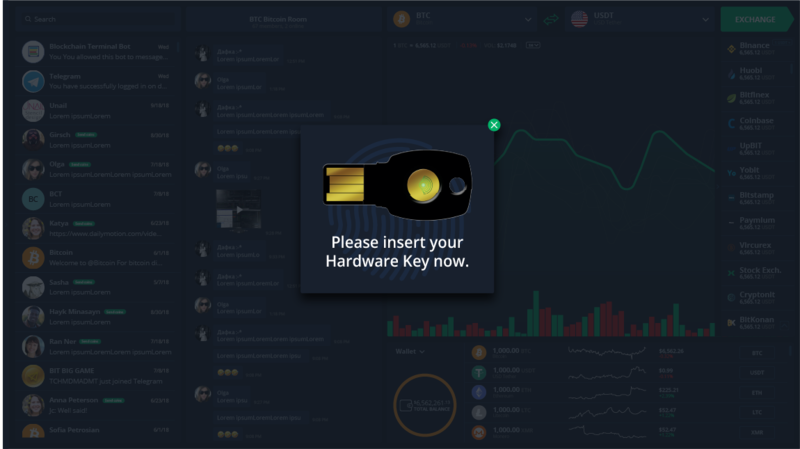 Acknowledging security as vital, Blockchain Terminal gives users a security key that is uniquely their own. 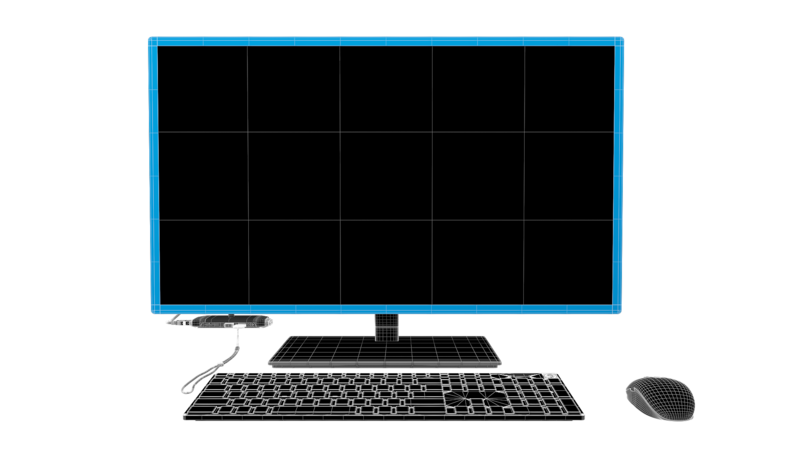 Terminal software pairs with a touch-to-confirm security key to ensure safe, authorized access to the Blockchain Terminal. Got my @BCTerminal and this thing does far more than I expected it to. I have been in awe of the data since yesterday, just taking it all in. Thank you Simon! Its AMAZING! We have a Blockchain Terminal at my home in Puerto Rico. Exciting stuff! 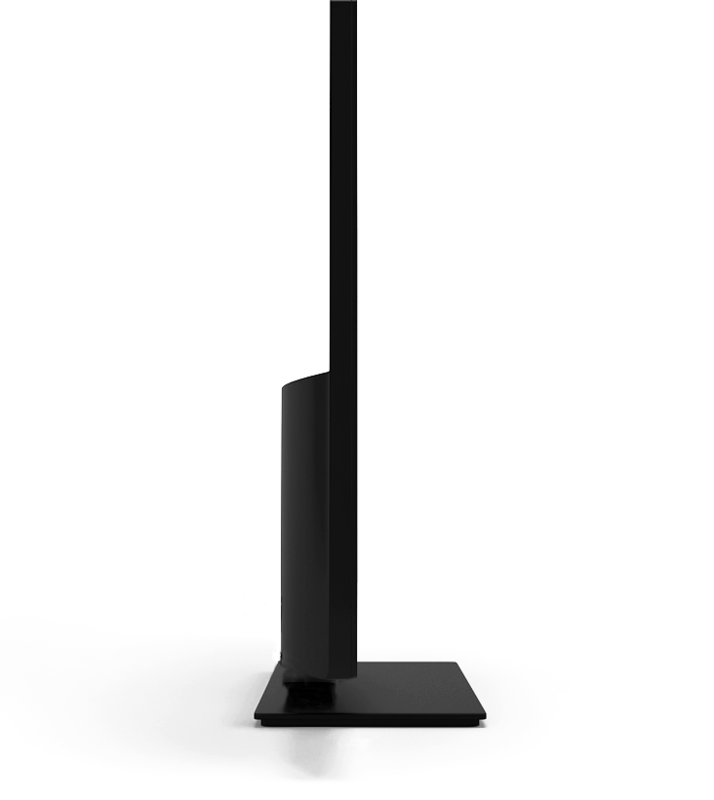 Purchases made through this website are covered by the BCT no-questions-asked, 60-day money back guarantee (see Satisfaction Guarantee and Return Policy). The Blockchain Terminal features revolutionary capabilities that do not exist on any other platform. Unrivaled speed and unsurpassed security provide users with a completely unique trading experience. Blockchain Terminal streams executed trades from 165 exchanges at the fastest speed anywhere (up to 300 recent trades a second). The terminal currently has high-speed fully automated execution capabilities on the top 14 exchanges and semi-automated execution across the smaller exchanges. Blockchain Terminal gives best execution on every trade. The order router sweeps through the exchanges, always purchasing at the lowest prices and selling at the highest prices. Selling is calculated with all commissions and fees removed – the price is net. Blockchain Terminal makes it possible to instantly buy or sell large amounts of cryptocurrency—which can currently take weeks—by providing access to the world’s liquidity all at one time. Exchanges, Market Makers and Dark Pools are all accessible. Blockchain Terminal gives users access to the entire cryptocurrency marketplace with the ability to purchase and sell any cryptocurrency and store them in a single wallet that consolidates multiple custodians, eliminating the need to keep track of which custodian holds which currency. It also enables coins to be sent to other users on the system instantly and securely. 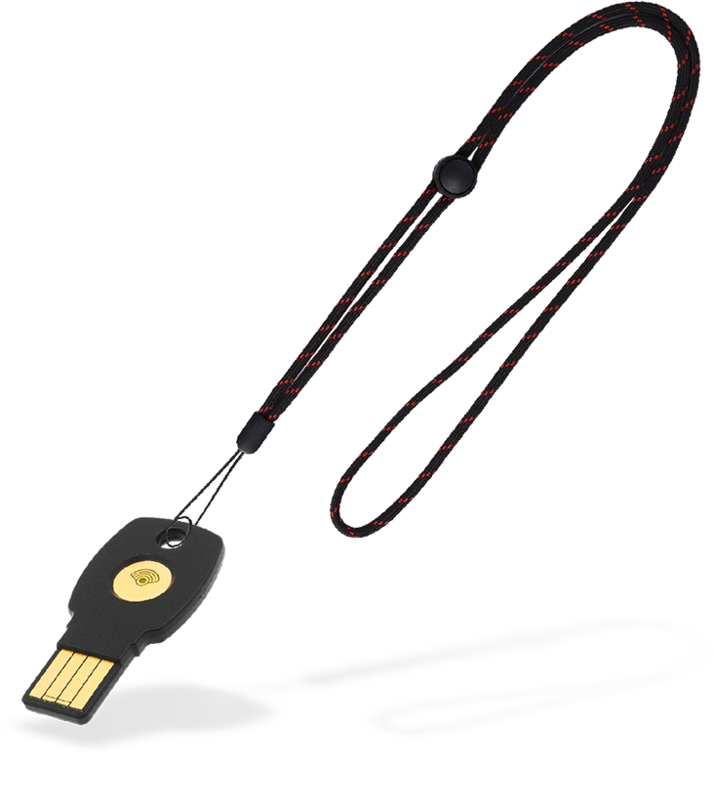 Blockchain Terminal uses a hardware key—not just a password—to identify and ensure the user is authorized to access the Terminal. 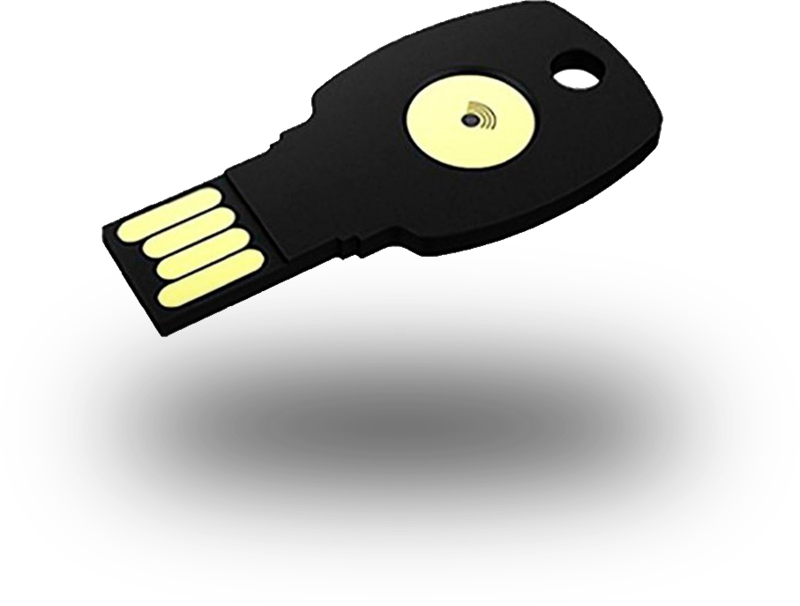 If users don’t have the hardware key, they won’t be recognized. This also makes it impossible for others access the terminal remotely. ComplianceGuard is a blockchain-based compliance application that records all the transactions that occur on the Blockchain Terminal. Like the flight recorder in the cockpit of an airplane, it creates an immutable record of all that has occurred in the system. Blockchain Terminal compiles all the pertinent sources of real time data, statistics, and news from the ICO and cryptocurrency space in a single location. Third-party blockchain developers are invited to continually add Apps to the App Store. Blockchain Terminal and its advancements mean you will never again bounce from exchange to exchange searching for a place to sell your coins. From today forwards, trade cryptocurrency simply and always at the best possible prices. 2018 BCT Inc - All rights reserved. BCT Inc, a Cayman Islands company, is the developer of the Blockchain Terminal, an institutional-grade cryptocurrency platform and app store that unites traditional investment with the emerging cryptocurrency industry. The Blockchain Terminal users will purchase apps and crypto-trading tools developed by third-party blockchain developers using BCT tokens. BCT Inc has a non-profit mandate and is a wholly owned Cayman subsidiary of the BCT Foundation, a non-profit Cayman Islands foundation. Use of the Blockchain Terminal is governed by its License Agreement and End User License Agreement. 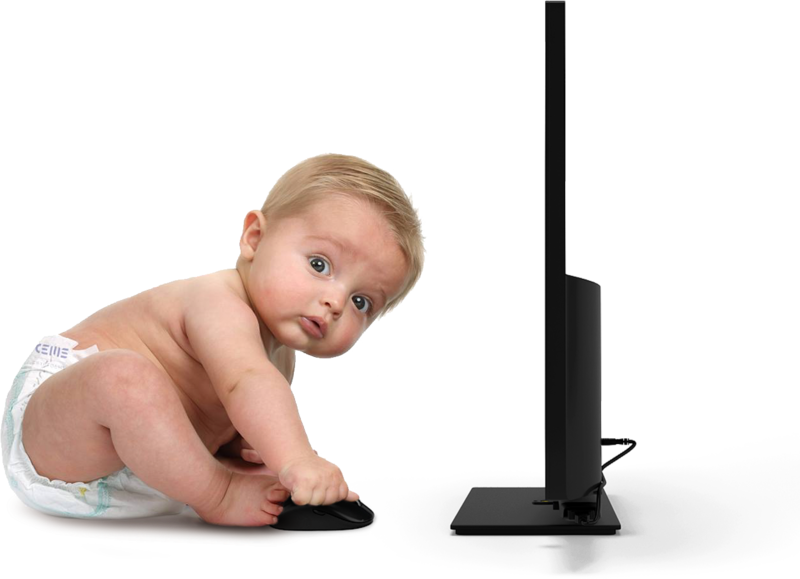 The last revolution in front end trading technology – essentially the tools traders use to interact with the markets – came when Bloomberg released their primitive but surprisingly resilient terminals. 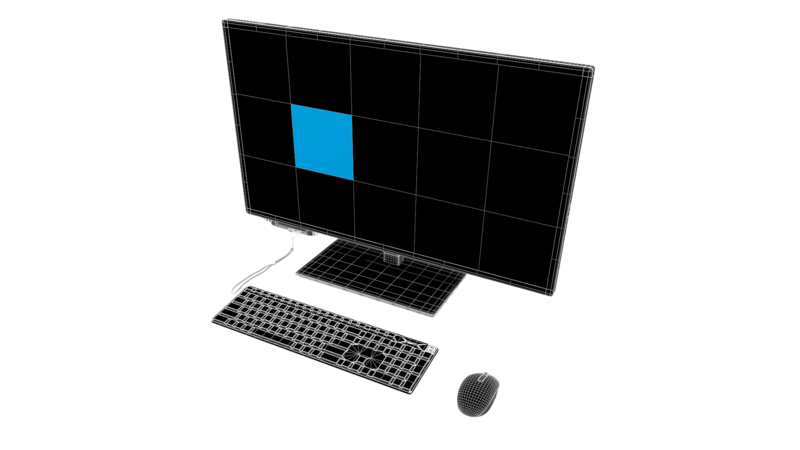 Now that new systems are hitting the Street, new tools are necessary to help traders make better decisions. That’s why BCT made their interesting new Terminal. 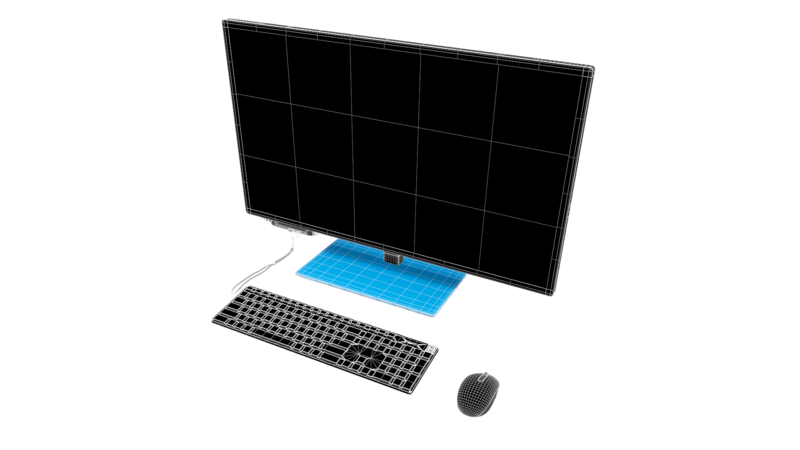 The tool is essentially a double-screened PC with a great deal of proprietary software installed. 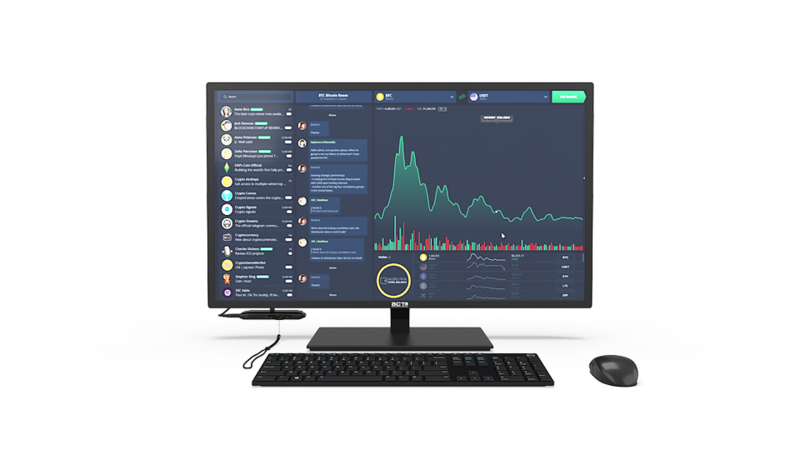 It looks at multiple exchanges at once and lets you read news, prices, and market changes in one easy-to-understand package. I sat down with the BCT team to look at their product more closely and despite some early marketing hiccups the team seems to have a cool – if complex – product for those more familiar with the Bourse than Binance. The energy of Los Angeles was alive at the StartEngine ICO 2.0 Summit! The BCT booth was packed all day. "It would be hugely beneficial to them (hedge funds) because they need more features, need that app store, they need all this data because hedge funds deal in data." The first and - to our knowledge - ONLY all-in-one solution for the serious crypto trader. Crypto trading seems to be easy, in some ways. You hop on an exchange, set your price, buy or sell, and repeat until you have something you want to keep in a hardware wallet. But what we see, isn’t necessarily what is. We see an exchange. We see a price. We see a demand, and a supply. We hope to be on the right end of that seesaw. But what we cannot do, is understand the entire cryptocurrency market – the 100 or more exchanges, the tens of thousands of buy and sell orders beyond our immediate grasp. Even if we could load them individually, even if we had gone through the painstaking process of KYC for every one of those exchanges… we could never switch between them quickly enough to use the information we had worked so hard for. What we see, is not necessarily what is. Blockchain Terminal (BCT) has been under development for three years – initially, through its ComplianceGuard product, which provides a means of providing traditional Hedge Funds and smaller investment companies with information related to audit trails, business rule logic, and exception alerts (as a blatant example, imagine that a fund is precluded from investing in a certain country, and then ignores the embargo – an exception alert would catch this kind of activity). Over a period of several minutes, Bonomo outlines almost every problem facing the institutional acceptance of cryptocurrency as an asset class – metrics, exchange volume issues, reliability, custody solutions, education – and he quotes Mike Novogratz’s famous “The herd is coming…” to illustrate that these issues need to be resolved, and quickly. Back in Miami, where I rst encountered the product, I saw some interesting features. In New York, a look at the progress since January brought the concept home, and made me realize that crypto trading is about to change completely. 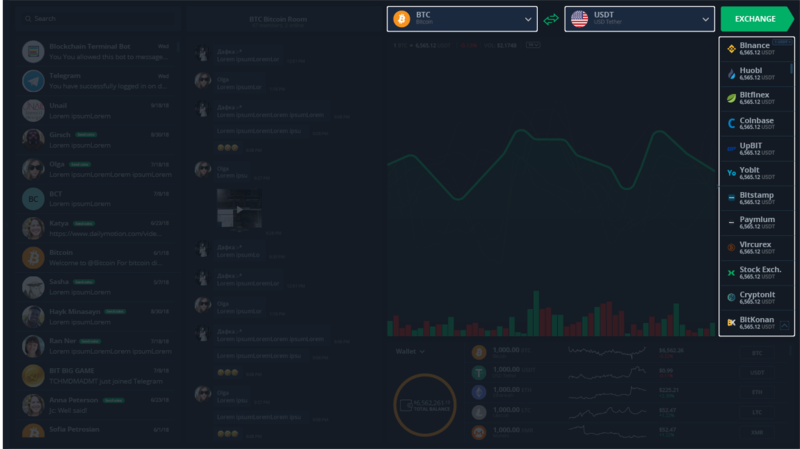 The Blockchain Terminal itself looks cool. I don’t know how else to say this. It’s cool. 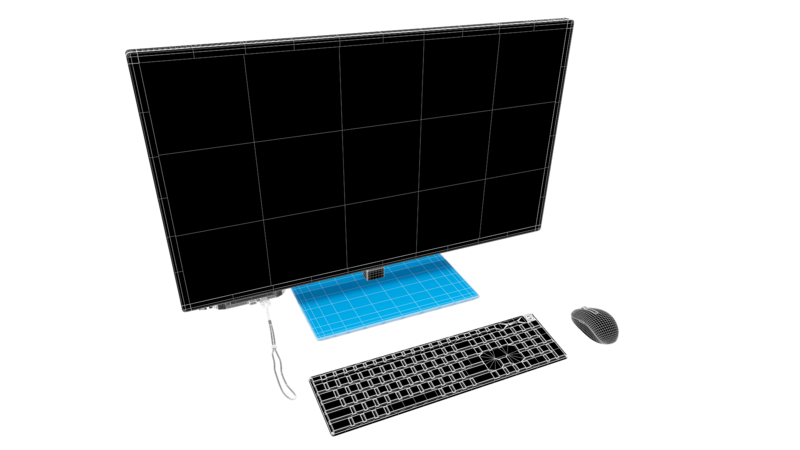 A pair of ultrawide monitors stacked vertically, covered with information – mostly familiar, but never presented in one single interface before – and all of which is very… cool. The hardware is almost as engaging as the software. The user experience is vital when it comes to driving a sports car, or playing a video game – why not create something just as dynamic and immersive for crypto trading? Sitting down at this device makes me want to crack my knuckles, loosen my ngers. It feels like getting down to business. The project aims to include dozens of exchanges with a consolidated order book. When ordinary crypto traders, most of us, make a trade on an exchange we are seeing one fragment of the crypto universe. But Blockchain Terminal brings almost the entire ecosystem into one place. 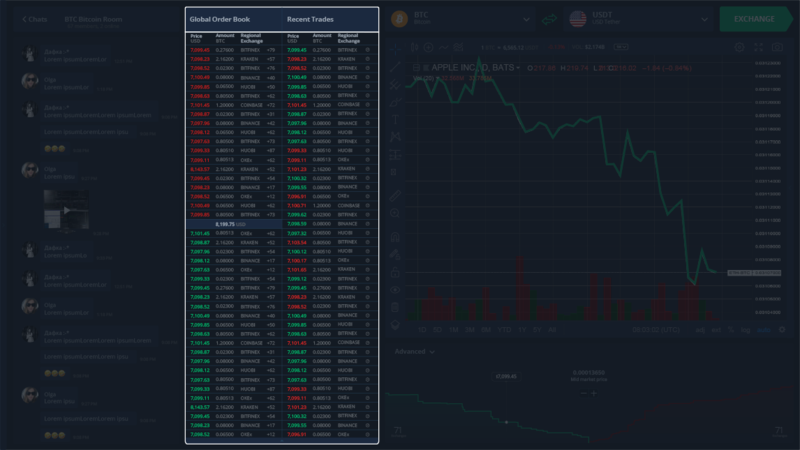 So instead of being presented with THIS order, on THIS exchange, your order book shows ALL orders across ALL supported exchanges – and allows you to buy, or sell, at the best available rate. And that’s not all. You want to buy 20 ETH of Quantstamp today? You’ll have to go through a pretty signicant range on any individual exchange to buy at market rate. But the consolidated order you place through Blockchain Terminal will actually spread your buy across all supported exchanges, buying 20 ETH at the lowest possible rate even if it buys a fraction on Binance, a fraction on Huobi, a fraction on a dozen other exchanges… and delivering the resulting QSP to a consolidated wallet. Seamlessly obtaining a price that you couldn’t humanly obtain on your own. As for your wallet, it acts as any other wallet – you load it, you transfer the tokens, you buy and sell, you save your favorites to your hardware device. One wallet, with access to the entire cryptoverse. And all of this gives rise to an obvious question: how do you register on all of these exchanges? And the answer is – you don’t. The KYC and registration is handled by BCT as an entity: you complete KYC with them once, and then you have access to their entire portfolio of exchanges. Yes, read this whole section again. Does the headline make sense now? The whole system is designed around the app concept – when I sat down with the team for a second demonstration, the store had come to life. 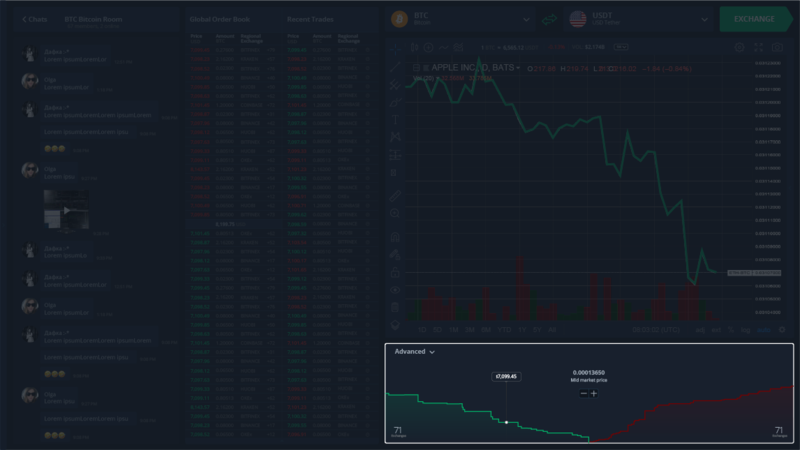 In the top right, a ‘tag cloud’ style app illustrating the relative increase or decrease in value of a set of cryptocurrencies, as well as their relative volume. Clever, engaging, effective. Other apps track ICO cash ow, calendars, self-curated news ows, sentiment analytics… in fact, as Bonomo continued, the company sees their success as “all about partnerships” . Developers will be encouraged to create nancial apps, either for use in-house by the institution, or for sale to all users via the token ecosystem. “We anticipate revenue share of 80% to the developer,” says Bonomo. The entire interface is customizable, giving crypto traders access to almost everything they could conceivably want or need to execute their business without leaving the environment. It is stunning. The UI is simply stunning. And although the team test-drove it for me, I could see that with a little practice, the UX would be equally remarkable. The original ComplianceGuard product is also part of the suite; it captures the trading data to ensure that professional funds remain within their remit: “It’s there to identify attempts to deviate from the constraints and mandate that’s sold to the client,” says Bonomo. For funds looking to ensure compliance, the system is essentially designed to prevent the terrifying ‘rogue trader’ scenario which could expose them to nancial risk and legal jeopardy – while also allowing investors to sleep easy, knowing their money is being put to use as promised by the fund. Technology is supposed to be an enabler. Sometimes it fails. Bad design, unanticipated consequences, poor management. What I see here is the real deal. It will not only allow for better decision-making, more protable trading, more accurate execution – but it will also encourage further adoption from the investment people who have been skeptical of crypto trading, with good reason. More institutional money in crypto is not a bad thing, it’s simply that with their algorithms and trading platforms and articial intelligence, it often means the ordinary Joes are competing in a game they can’t win. But I promised a surprise for home cryptotrading enthusiasts, too – and here it is. They’re also releasing a fully-functioned web app. So it’s not just for those who are already bored of their own Lambo – the rest of us will get to use the Blockchain Terminal crypto trading suite too. 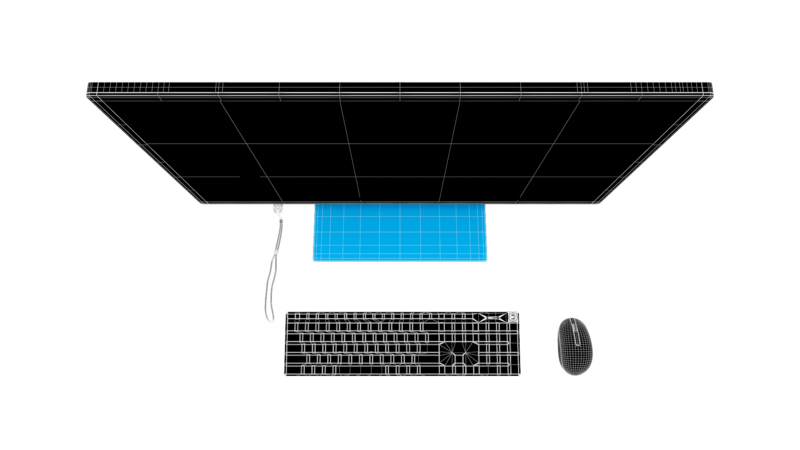 You may have to switch screens a little more, but I was told that all the functionality of the hardware setup will be available to (I assume) subscribers. Disclaimer : The author is invested in ETH, which is mentioned in this article. Neither the author nor Crypto Briefing has asked for, or received, any consideration of any kind for this independent assessment. I'm the Managing Editor at Crypto Briefing. I like to build things. Especially communities. This community - despite all the arguments, the rivalries, the diverse viewpoints - is still part of something that much of the world has not yet discovered. By participating positively in our community we bring strength to our infrastructure, and we encourage the interest and participation of others. My job is to advocate for inclusion, for a diversity of ideas and people, and for truth. Other than this, I like to run, DJ, and hang out with my miniature Highland steer, Moose. Cryptocurrency exchanges need liquidity and hedge funds rely on volatility, so these risk-takers should be enjoying the current roller coaster ride in cryptocurrency prices. Instead, hedge funds have been retrenching from the crypto markets in 2018. The markets are accustomed to hedge funds going out of business, but the 10 hedge funds that closed at the beginning of 2018 came as a surprise to many, but not to the astute investor. Financial regulators, not surprisingly, are strengthening their oversight of the over 200 crypto hedge funds that are still in business. So many of these funds lack preparation for a drop of 25 percent or more in the market, indicating weak risk management practices. Even those who keep trading profits in the black are likely to face increased compliance risk eroding gains owing to a lack of institutional-grade crypto trading systems. Hedge funds currently spend up to 10 percent of their operating budgets on compliance issues and face rising insurance costs. The hedge fund sector as a whole, however, has not shied away from cryptocurrencies. One noteworthy newcomer is Soros Fund Management, led by legendary hedge fund manager George Soros. A short-selling hedge fund would have done well in the first quarter of the year whereas the losers in 2018 appear to have been pure risk-takers who expected crypto prices to continue their 2017 upwards trajectory. Recall that George Soros is known as the man who broke the British bank after he shorted the British pound in 1992 and made one billion dollars. No matter the speculative asset, the hedge fund manager has claimed to never put more than 30 percent of his capital at risk. The new hedge fund entrants to the cryptocurrency markets are a sign that opportunity still abounds for astute traders and risk managers. More importantly, new institutional-grade trading technology is being developed for cryptocurrency markets. The Blockchain Terminal (BCT), for instance, could have helped the defunct hedge funds monitor cryptocurrency compliance and trading risks in real time. The BCT creates a complete compliance loop by connecting regulators, hedge funds, and their compliance departments through transparent, encrypted trading records with embedded audit functionality. The advanced trading tools and services provided by the terminal, meanwhile, allow institutional traders to improve trading and risk management performance. Designed for the converging crypto and traditional currency trading worlds, BCT could help hedge funds lower their rising compliance costs. Regulators have been pushing often opaque hedge fund trading activity into the spotlight with tightening trade reporting requirements. On the transparent Blockchain, transactions are executed by smart contracts, which link each transaction to the one before it, creating an immutable and trackable trading record. As mentioned, institutional-grade compliance and auditing functions are embedded in the system. 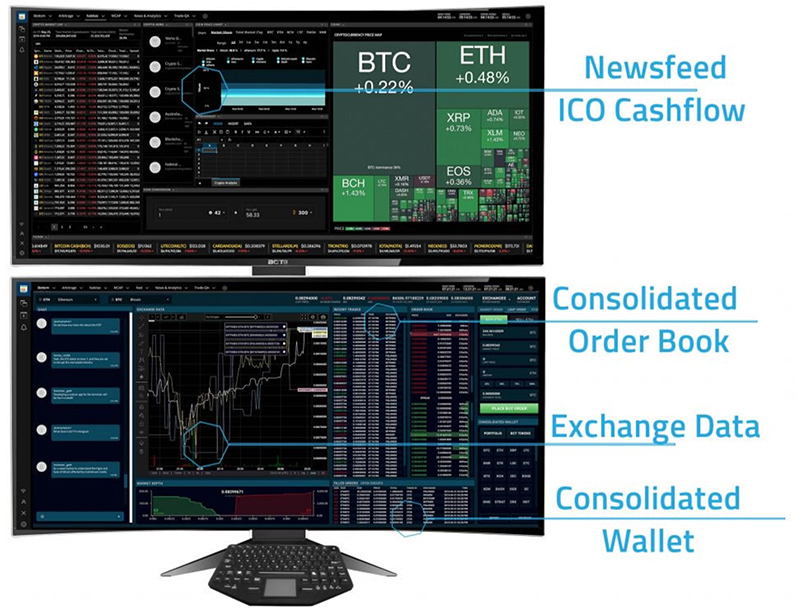 The Blockchain Terminal provides a full suite of cryptocurrency trading tools and services over the secure digital ledger, including an institutional-grade order system, data, analytics, compliance monitoring and back-office functions. USB ports make it easy to plug in a hardware wallet. 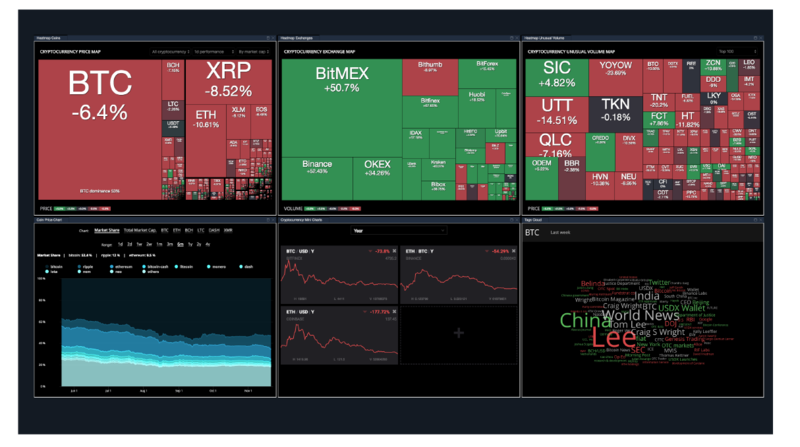 A full view of trading activity can be provided across over 60 crypto exchanges and thousands of currencies alongside data, news, and social media streams. On this hybrid Blockchain, a private Blockchain maintains all private account and trade information while timestamped transactions are executed on a public Blockchain. The open source code allows third-party developers to develop trading algorithms and tools, which could be either proprietary or public. If institutional investors who spend billions of dollars a year on proprietary software development embrace the improved economics and efficiencies of the shared economy model, the BCT could become the Metatrader of the institutional crypto world. One of the risks defunct hedge funds faced in the young cryptocurrency markets was the slow execution times when trading across the many disparate exchanges. Currently, tracking trade performance such as the aggregate value of open trade positions or unrealized gains is slow and inefficient across the various platforms. 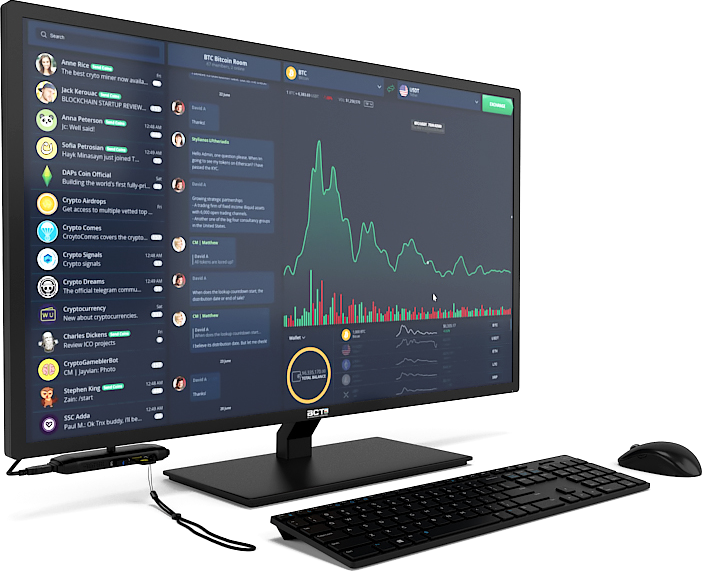 Engineered for professional trading, the robust Blockchain Terminal provides a consolidated order book to provide real-time buying and selling data on crypto and fiat assets across many exchanges and currencies. Trading speed, as in the forex markets, will be a key competitive advantage in cryptocurrency and converged crypto-fiat trading. The Blockchain Terminal is currently being tested by several dozen hedge funds with several billion dollars in assets under management. Hedge funds struggling to adapt trading systems for cryptocurrencies can be up and running with the Blockchain Terminal and gain a complete picture of the crypto market. The initial coin offering is live and running until April 30, 2018. Join the token sale at tokensale.bct.io and visit the website: bct.io for more information. The Blockchain Terminal (“BCT”) delivers a powerful set of tools and services to the wealth management industry, making use of blockchain technology to deliver cutting edge applications that have been created by a diverse community of developers, while also enabling real-time compliance enforcement and ad hoc audits. The BCT platform provides a robust layer of security and functionality to familiar tools, and capabilities that advance the current strategies of traditional investment managers, and also supports the complexities of cryptocurrency markets. Emerging cryptocurrency- focused investment funds enjoy sophisticated platform tools for both front and back office operations along with the added value and assurance of a compliance framework that provides security for investors across this rapidly emerging asset class. The central distinguishing feature of BCT is a hybrid ledger that integrates both a private and a public, permissioned blockchain to enable its core services. This hybrid ledger is anchored to the broader Ethereum blockchain, which can be freely used and addressed by BCT applications, a set of modular productivity tools and services that are supported by the Blockchain Terminal Foundation. Developers on this platform have easy access to production-tested infrastructure, with embedded compliance and broader distribution enabled by BCT’s comprehensive business strategy. 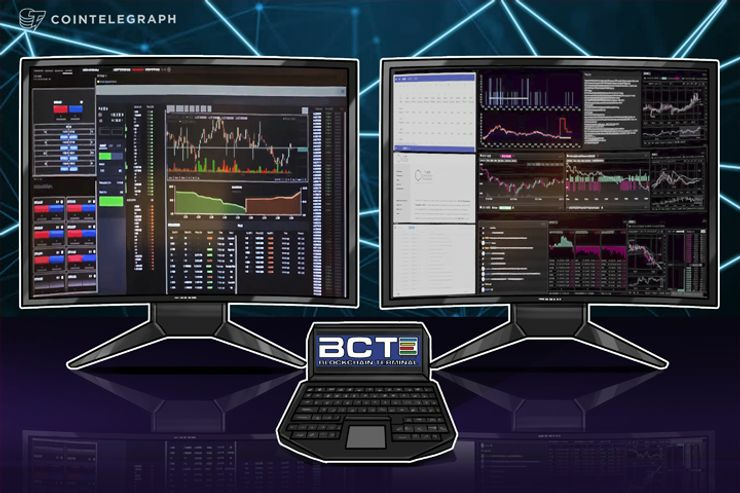 The BCT is a high-availability network device that securely journals compliance entries for a hedge fund’s Chief Compliance Officer, and is also a desktop terminal for use by hedge fund traders, analysts, portfolio managers, and operations staff. All installed hardware devices on a firm’s network are configured to a private ledger that improves the overall integrity of critical data through consensus. This journaled data interacts with the global BCT permissioned ledger to provide an external anchor for internal activity that can be observed and verified by external constituents, including auditors and regulators without compromising confidentiality. The supporting BCT token facilitates the functions of this platform and enhances the convenience of the BCT as a showcase mechanism for a new generation of best-of-breed applications for the industry. The company’s ex-president Bob Bonomo, who formerly served as a chief information officer at two of America’s biggest asset management firms, told Cointelegraph: “We’re not a white paper, we’re a real product, here and now. 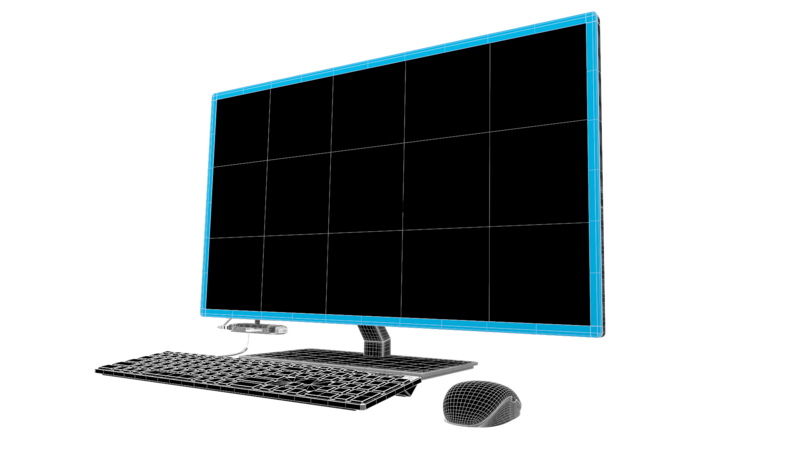 "The desktop system combines the resources that analysts, portfolio managers, traders and chief compliance officers need to capitalize on investment opportunities." A platform has developed a terminal to help institutional investors and hedge funds buy and trade cryptocurrency with ease, all the while delivering transparency and compliance through state-of-the-art technology. Blockchain Terminal is led by a Wall Street veteran who has served as a chief information officer at two of America’s biggest asset management firms. 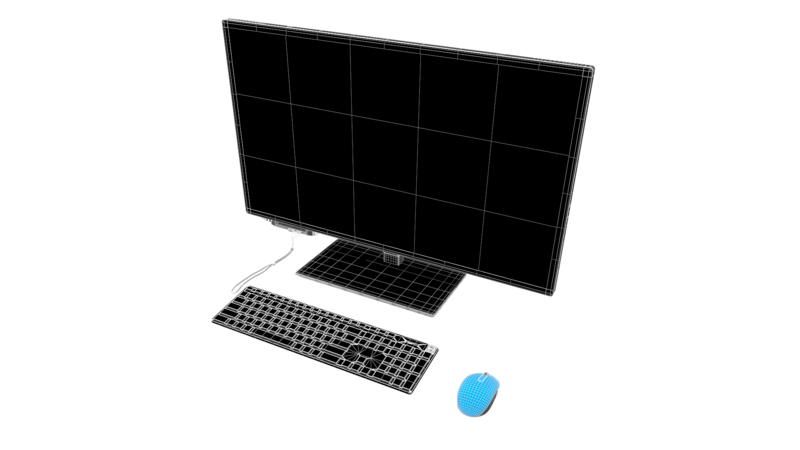 Known as BCT for short, the desktop system combines the resources that analysts, portfolio managers, traders and chief compliance officers need to capitalize on investment opportunities. 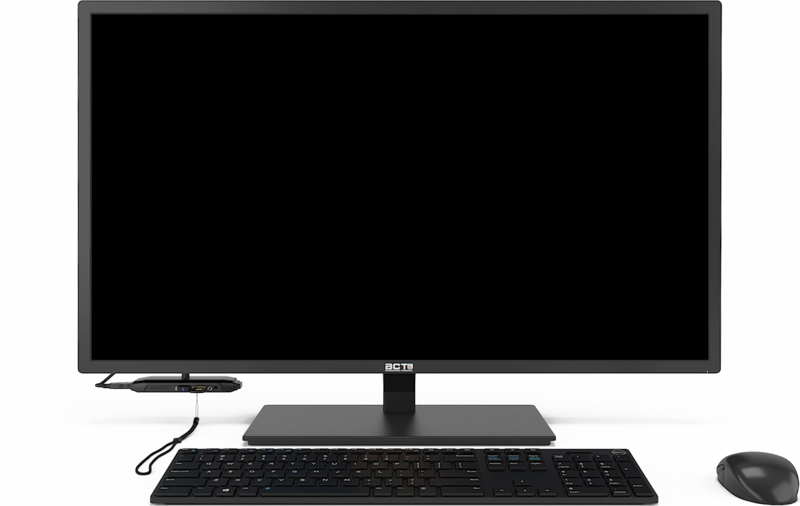 The terminals boast large monitors that provide instant access to critical information, and they’re furnished with USB ports so hardware wallets can be accessed. Mobile and tablet versions of the interface are expected to follow, meaning real-time data can be accessed on the move. This comes as interest in cryptocurrency among hedge funds continues to grow at a steady pace. A recent study by BarclayHedge found 25 percent of managers are already investing in cryptocurrency or intend to begin doing so in the coming six months. Meanwhile, a further eight percent are exploring the possibility. Meanwhile, research from AutonomousNext suggests there was an explosion in the number of crypto funds in 2017. Currently, it is estimated up to $5 bln worth of crypto assets are being managed across more than 225 funds. In its white paper, BCT says that the 2008 financial crisis and headline-grabbing cases of fraud, when coupled with the high fees that investors are paying for diminishing returns, have transformed attitudes when it comes to transparency, accountability and compliance. The cornerstone of its platform is ComplianceGuard technology. Pre-installed on every terminal, BCT says it is “designed to exceed the most robust hedge fund industry compliance requirements.” The system has been tested through pilot installations at 20 hedge funds. BCT’s ledger utilizes two Blockchains simultaneously. The first, which is local and private, allows a hedge fund’s sensitive information to remain confidential. Meanwhile, all transactions are time-stamped and aggregated on the global Blockchain, meaning audits can be conducted on an ad hoc basis remotely and immediately whenever compliance problems emerge. Any accompanying documents and notes are also preserved in such a way that they cannot be tampered with. To ensure that security requirements are satisfied and quality is consistent, all apps will be approved by BCT before they are released to the community as a whole. Based in the Cayman Islands, BCT will be advancing the terminal to its full potential. Everything is brought together by the BCT Token – and two types “co-exist” within the ecosystem. As well as the native BCT Token, which is used to power the ledger, an ERC20-compliant token allows users to subscribe to applications and access services. BCT is hoping that 200 Blockchain terminals will be delivered to hedge funds and other financial institutions by April 2018. The BCT public pre-sale is ongoing, following a successful private presale and airdrop, the company said. Its team members are traveling the world, attending crypto and fintech events to help spread the word. With stops in Germany, South Korea, Israel and Malaysia already completed, BCT representatives are now planning to attend conferences in New York and California come April. Given the high demand for alternative asset classes powered by crypto, a new Blockchain-based project has entered the market to disrupt a conventional system once ruled by terminals such as Bloomberg and Thomson Reuters. Crypto-powered Institutional Grade Platform – Blockchain Terminal (BCT), brings all the essential tools hedge funds and wealth management companies need to trade cryptocurrency on a secured, single-interfaced platform. Designed to go beyond the strictest compliance requirements pertaining to the hedge fund industry, BCT’s end goal is to provide applications that ensure crypto trading is done securely and transparently. As cryptocurrency investment funds increase in popularity, terminals like Bloomberg must adapt to market demands or be left behind. Most wealth management companies are aware of their limitations, and know that they can’t compete with the highly secure front-end and back-end operations that an upscale crypto investment platform provides. The solution is to embrace the perks offered by Blockchain technology in order to preserve their clientele. By connecting aspiring crypto investors and hedge funds, BCT aims to bring premiere features to the forefront. The platform will combine relevant data from cryptocurrency exchanges, news articles, blogs, and social media; as well as vital information on emerging ICOs. The hardware behind BCT will therefore paint a clean picture of how the crypto market functions in real time. At the heart of the Blockchain Terminal lies ComplianceGuard, the platform’s technology. Featuring a powerful, fully-stable compliance framework, the end goal is to assist hedge fund compliance professionals in complying with applicable regulatory requirements. 20 hedge funds are already using ComplianceGuard as part of the Terminal’s pilot installation program. 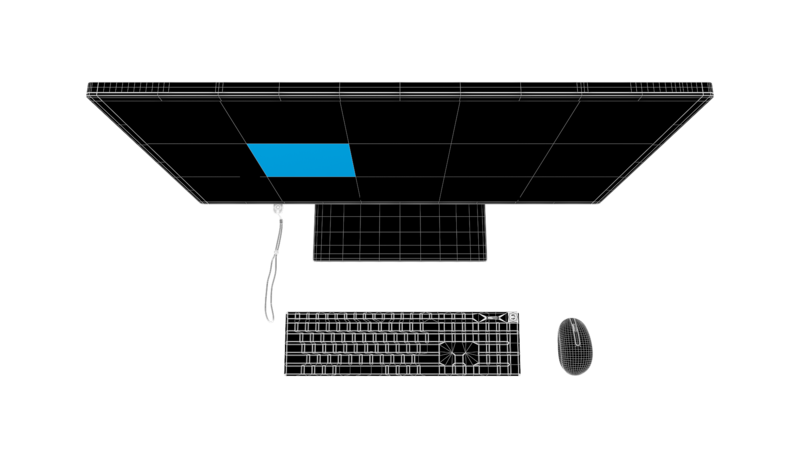 Three core features ensure the uniqueness of BCT. The first is exchange integration, which uses Compliance Guard to convey relevant data on 1,400 cryptocurrencies in a compliance vetted environment. The second is identity verification, which provides users with role-based identities to establish trust and craft a transactional accountability layer. The third feature is the app ecosystem; an open-source application store for third-party developers. They can contribute to the platform by creating tools for cryptocurrency and traditional assets on par with current compliance requirements. Two co-existing tokens fuel the Blockchain Terminal ecosystem. The native BCT token powers the ledger, whereas the second token, which is ERC20-compliant and built on Ethereum, becomes available through the token sale and is meant to act as a subscription and entitlement token for all services offered by the native BCT. Together, the goal is to make sure all activities happening on the platforms are performed safely and securely. BCT’s public pre-sale is live until March 31st, 2018 offering 280M BCT tokens with 1 ETH = 10,000 BCT, and minimum purchase making 40 ETH. Following the pre-sale, the public sale is to commence on April 1 and continue till April 15th, 2018. Main event’s contributors will see 90M BCT tokens for 7,500 BCT = 1 ETH. Our latest blog post is up! Four years before Bitcoin launched, the late Dr. Stephen Hawking wrote the handbook on how financial institutions should handle the challenges posed by cryptocurrencies. “Intelligence is the ability to adapt to change,” he said. Okay, it was not a handbook, and clearly, Hawking was not talking about cryptocurrencies. However, it was terrific advice, nonetheless. When Blockchain launched, its intent was to break up the monopoly of the financial establishment. Today, companies within that same financial establishment are investing billions in researching blockchain’s potential and develop new blockchain-based systems and applications. While there’s a little fear and skepticism, there’s a lot more excitement and adaptation. Some of the financial establishment’s skepticism is well-founded. Blockchain is certainly spawning some questionable new businesses, as well as a host of offerings with incredible potential. But they also know the technology offers them a lot of the solutions they need. Arguably their greatest immediate need is the ability to trade cryptocurrencies, and generally participate in the cross-border, open-source money movement, in a safe and compliant way. A BarclayHedge survey of hedge fund managers in September 2017 revealed that 24% of hedge funds either currently invest in cryptocurrency or plan to invest within the next six months. However, many hedge funds lack the IT infrastructure for trading cryptocurrencies. But beyond the exchanges, blockchain technology has the potential to streamline transactions, improve compliance, reduce risk, decentralize tasks — and dramatically cut costs. In fact, some of the estimated savings quoted in reports are truly staggering. Santander estimates that blockchain-based apps could potentially cut costs by up to $20 billion a year by 2022. Meanwhile, an Accenture & McLagan report concludes that blockchain technology could slash costs by 70% on central finance reporting; 50% on business and central operations; 50% on compliance; and more than 30% across the middle and back offices. There are many different tasks for which blockchain technology could lower costs. It could dramatically reduce the maintenance and replacement costs associated with aging IT infrastructure. Additionally, it could simplify and speed up the transfer of payments, particularly across international borders. 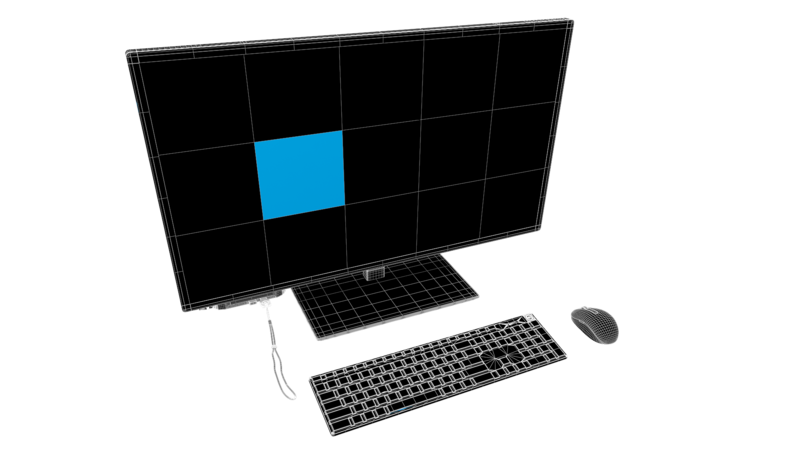 It could improve the accuracy of trades and shorten the duration of the conciliation and settlement processes. Also, it could execute smart contracts securely, eliminating unnecessary legal transactions. It could simplify online identity management. Plus it could streamline verification and fraud analysis. Of course, it could aid regulatory compliance. So what’s holding back the institutions? For a start, replacing entire legacy systems at the enterprise level would be a massive project and the high cost would likely be prohibitive, particularly since most organizations run on mainframe systems. The notion of decentralizing trust would represent a major step, requiring the creation of vast and secure networks. Given that blockchain is still an emerging technology, there are obvious concerns around performance, scalability, security and the lack of regulation. Nevertheless, most institutions are at the very least experimenting with ways to harness blockchain. More than 40 global banks are actively studying the technology via the R3 Distributed Ledger Group consortium. And although a few large global banks are funneling resources towards patenting their own blockchain-based systems, most of those that do run a blockchain system partnered with a FinTech company. This month, our company, BCT, is excited to launch a cost-effective blockchain solution for hedge funds and other financial institutions, called The Blockchain Terminal. 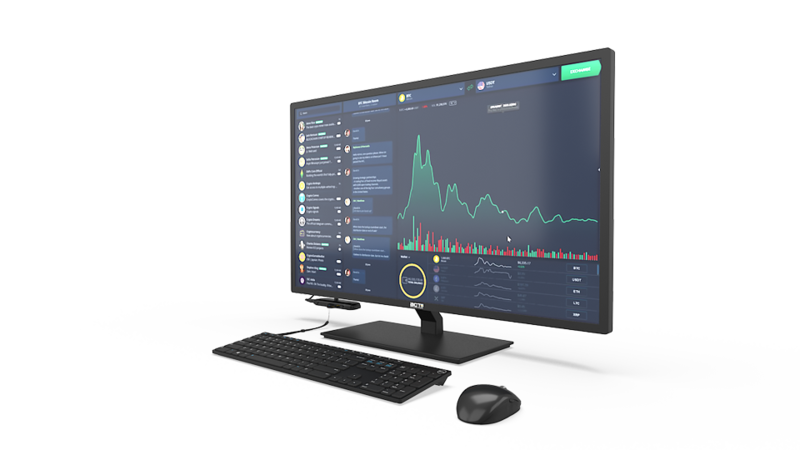 The Terminal is a one-stop desktop interface that integrates all the tools and information needed to trade cryptocurrencies, with great security and compliance. 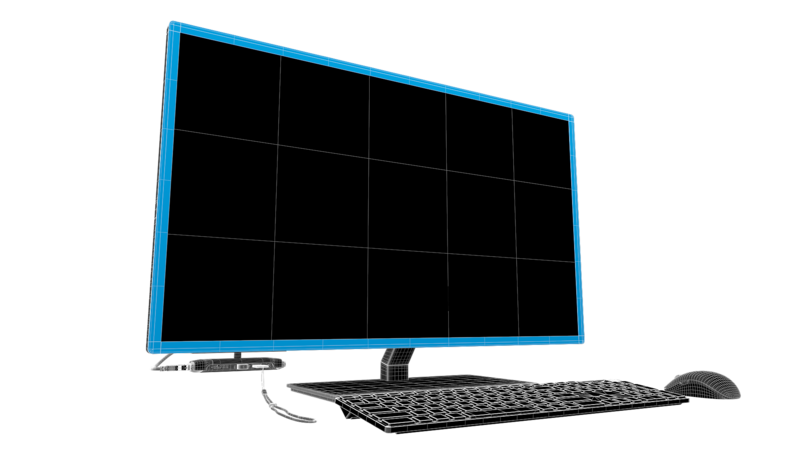 Comprising two 38-inch curved screens, BCT offers an information feed, aggregating news, and data from cryptocurrency exchanges and 1,400 crypto currencies, plus ICO info and updates from 40,000 media outlets. It also provides advanced trading data analytics and charting tools for all strategies, and it offers an open app store for institutions. Importantly, the Blockchain Terminal comes with proven, gold-standard compliance monitoring and audit trail technology, ComplianceGuard, that fulfills even the strictest hedge fund requirements. Powered exclusively by BCT utility tokens, the Terminal is currently being piloted at 20 hedge funds and will launch officially by the end of Q1. There’s little doubt that blockchain technology holds the potential to transform the way financial institutions operate, beyond the crypto exchanges, resulting in significant potential cost-savings across numerous different departments and functions. As companies become increasingly comfortable with the new technology, the use of blockchain-based apps among the institutions is likely to continue to grow. In a TEDx talk last year, self-professed “Blockchain Futurist and Patron Saint of Trusted Commerce,” Richie Etwaru, declared that blockchain technology will become the fourth great “gap-closing” invention of the modern age. The sequence goes like this: the printing press closed the knowledge gap, the combustion engine closed the power gap, while the internet continues to close the distance gap. Blockchain, Etwaru declared, will close the trust gap. I would argue that if you are an organization in one of the more heavily regulated industries — like finance and healthcare — you might be equally interested in whether it can close the compliance gap. The complex and fast-evolving regulatory landscape has been the leading source of executives’ complaints and money-sapping headaches within those industries for decades, especially in the financial services arena. Institutions must constantly keep pace with a myriad of reporting requirements that require them to know their customers (KYC) more deeply than almost anyone in any other industry, and ensure that their actions do not facilitate money laundering (AMC) or any other form of fraud. Few doubt that, on the face of it, blockchain technology has the potential to revolutionize the transaction process and aid the compliance efforts of financial services providers. The notion of accessing an immutable, distributed ledger featuring crypto technology for the identification, verification and traceability of transactions, is a mouthwatering prospect. The thought that we can move beyond trying to anticipate the future thoughts of a single, centralized regulatory authority is, in and of itself, appealing to many. The blockchain vision is for financial institutions to share an integrated system that not only handles the KYC and AML processes but offers audit access to third-party regulators. In those respects alone, it sounds like the regtech equivalent of the moon on a stick. But, of course, the cryptocurrency world is a volatile and risky place to play, and for hedge funds and other institutions, there are plenty of hurdles to blockchain adoption, mainly centered around technology, compliance and cost. For starters, an enterprise-wide deployment of blockchain technology — as in, replacing every legacy transaction system — would represent a seismic and prohibitively costly operation for most organizations. Also, even those solutions that are designed to integrate with existing systems are distinctly lacking in compliance tools. It is not that the industry ever made a collective decision to avoid the blockchain party. On the contrary, institutions are experiencing a high demand for digital currencies, and there is every reason to believe that there are billions sitting on the hedge-fund sidelines because of compliance risks. Most of these organizations currently lack the trading infrastructure to play in the crypto space. Which begs the question: Where are the startups and the solutions? Why isn’t anyone solving the crypto compliance puzzle? Actually, that is exactly what our company, BCT, is trying to do. This month we roll out our Blockchain Terminal, a one-stop crypto interface, integrating all the tools and information that institutions need to purchase cryptocurrencies. 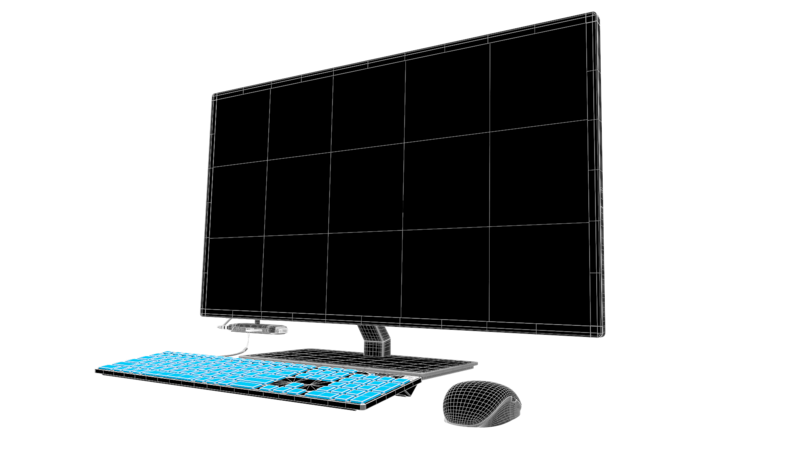 The hardware comprises two stacked 38-inch curved screens, but it is what’s inside that we believe offers the greatest hope for a secure, compliant gateway into cryptocurrency trading. 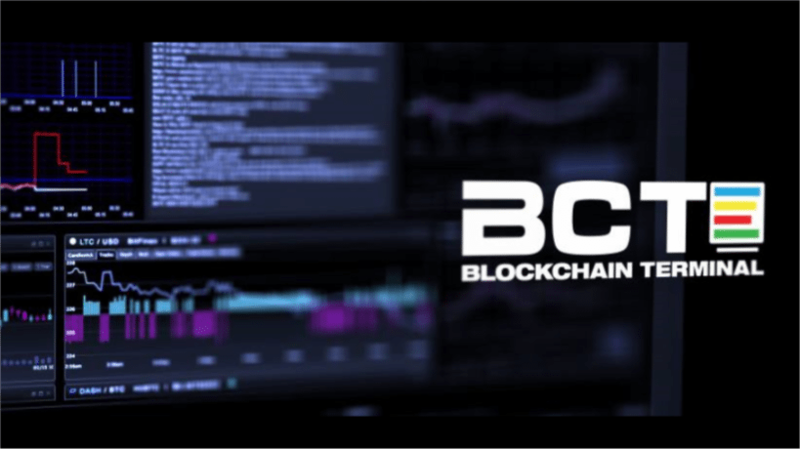 BCT is a professional-grade information feed, aggregating news, and data from the top cryptocurrency exchanges and 1,400 crypto currencies, along with ICO information and updates from 40,000 media outlets. 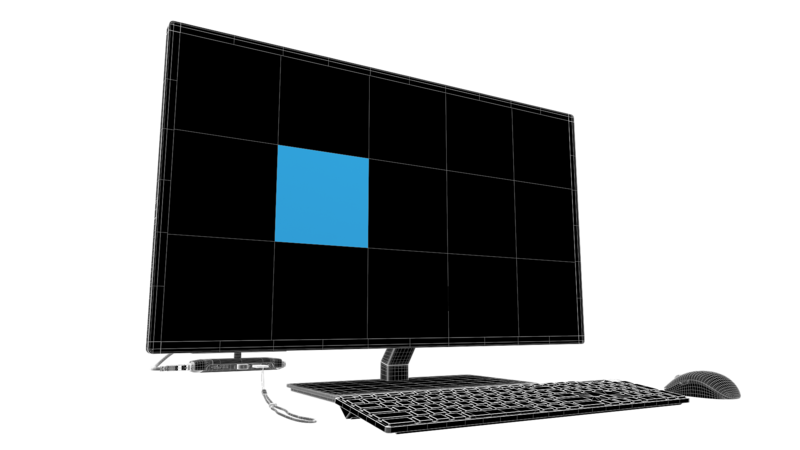 Second, it provides advanced trading data analytics and charting tools for all trading strategies. Third, it comprises an open app store for institutions along with apps for front, middle and back office. Fourth, and most critical, it comes with top-notch compliance monitoring and audit trail foundation — the missing pieces. At the heart of the offering is the proven ComplianceGuard technology, a deep-compliance framework that satisfies even the strictest hedge fund requirements, and already boasts 88,000 users throughout the industry. Powered exclusively by BCT utility tokens, the Blockchain Terminal is currently being piloted at 20 hedge funds and will launch officially by the end of Q1. The core idea is to give hedge funds and other institutional investors an option for high-compliance trading of cryptocurrencies. If companies jump on board, the product could spark a significant shift in regulatory dynamics. Not only will institutions enjoy cost savings from sharing the burden of fulfilling the KYC and AML commitments, but with a regulatory body able to view all transactions in a network, the onus will shift to the financial institution to take a more active role in identifying fraud analysis of transactions in real time. And providing the regulators are ready, this could go some way to close that compliance gap. The hedge fund industry is a $3 trillion market. However, it has been a wild ride for many hedge funds in the last couple of years. In 2016, a whopping $112B was pulled from the hedge fund industry, striking fear in the hearts of most managers. A report from Preqin at the end of August 2017 showed that a good part of the challenge was due to a negative perception of the industry as a result of weak performance in recent years coupled with high fees. As a result, you can bet that hedge fund managers watched closely as the crypto-boom of 2017 reverberated around the world. Despite being famed for their willingness to take risks, most hedge funds have been forced to watch the upward climb of cryptocurrency prices with their hands tied due to investment mandates and security issues. A big part of the reason for the industry’s slowness to embrace cryptocurrencies is that the industry is accustomed to performing analyses on investments with tools that cannot be applied to the crypto asset class. In other words, the hedge fund industry — which spends $2.3 billion a year on technology — requires institutional-grade information technology tools specifically designed for the crypto space before hedge funds will enter the crypto space. The solution to this conundrum is the Blockchain Terminal: a platform for best of breed data, analytics and execution solutions that will give hedge funds and other institutional investors the tools they need to enter the world of cryptocurrencies. The goal of the Blockchain Terminal is to facilitate real-world trust relationships between financial asset managers, auditors, and regulators. The gas for the system will be an Ethereum ERC20 token, the BCT token, that will be used to purchase apps and pay transaction fees within the ecosystem. The Blockchain Terminal will thus enable the hedge fund industry’s entrance into cryptocurrency asset class investing. Join us on Telegram for a lively conversation with the Blockchain Terminal team and our advisors. The Blockchain Terminal is creating a standardized storefront for developers and third-party vendors to distribute crypto trading applications to hedge funds and other institutional investors. It will, therefore, provide hedge fund users with institutional-grade data and execution for cryptocurrency trading, and a best of breed collection of applications. How do we know that the hedge fund community wants our technology? Before we saw the proof from the long wait times we witness at events where we show off our terminal, we saw a number of industry trends that pointed us in that direction. Technology solutions are currently disrupting the financial services sector at a fast pace, and the hedge fund industry has been a big part of that. 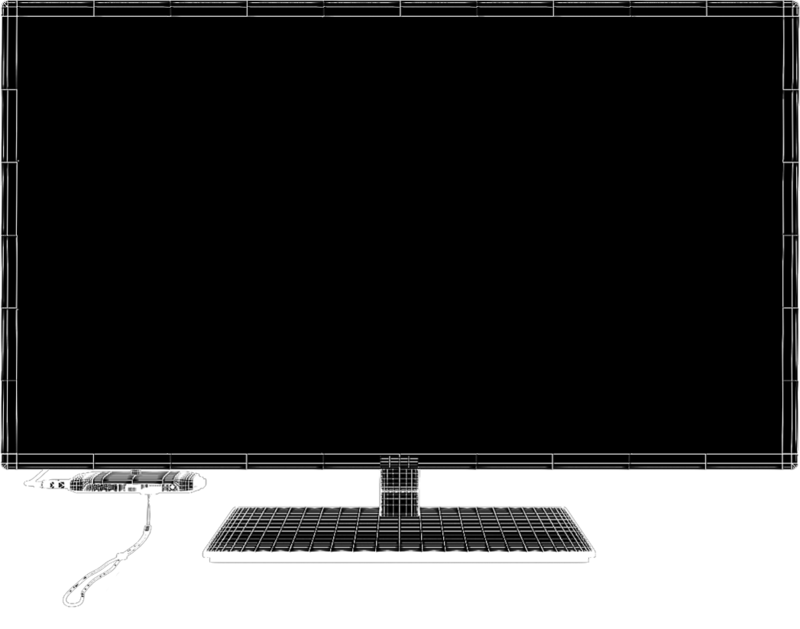 The hedge fund industry spends $2.3 billion a year on technology. That number has risen steadily in recent years and is expected to rise at even greater rates. In summarizing their findings on hedge fund technology spending in 2017, EY reported that “What is most apparent is that those who do not innovate and evolve will be left behind.” In a similar study released by KPMG in 2016, the authors summarized their findings by saying “What is clear is that fund managers expect to increase their investments into innovation going forward.” That is especially impressive given that one-in-five North American hedge funds have spent over $5M on technology each year during the past 5 years. Gone are the days when hedge fund managers were able to move on a hunch or a bet. The rise of powerful new analytic and back-end tools has brought technology into the heart of investment decisions. However, are they really interested in cryptocurrencies? The conclusion of the above studies is clear: hedge funds are interested in cryptocurrencies, and they know they can win in the space. What’s needed is to provide them with the institutional grade tools they require in order to truly dig into the space. So how can developers take advantage of the opportunity the Blockchain Terminal has created? To open the doors as wide as possible to blockchain developers, we have created three classes of applications that we partner with. 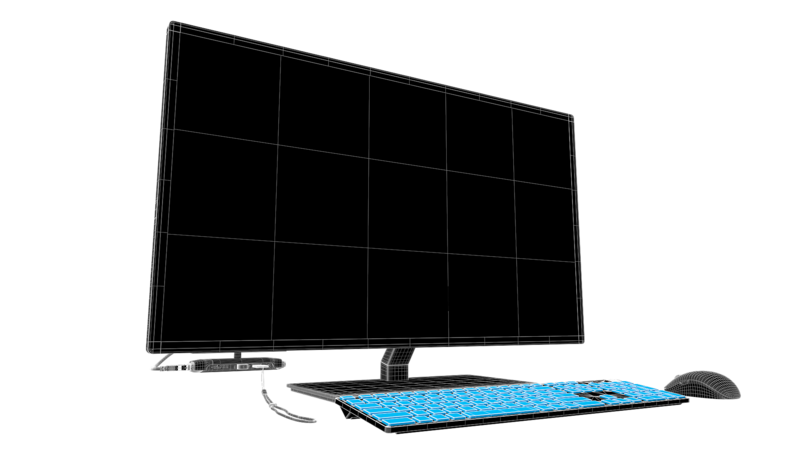 Blockchain Terminal Contained Applications are to be executed in the runtime scope of Blockchain Terminal hardware and its local resources. In contrast, Blockchain Terminal Metered Applications are designed for hosting independent of Blockchain Terminal hardware, while still registered for use with local APIs. In many ways, Contained Applications will live on their own but rely on Blockchain Terminal infrastructure for integration and other leveraged platform components: logging, persistence, and identity management. Blockchain Terminal Metered Applications are applications that can be listed for subscription and use within the Blockchain Terminal but will not be executed in the runtime scope of the Blockchain Terminal hardware and its local resource. While the runtime of Metered Applications is to be hosted elsewhere in the enterprise, Metered Application registration, billing, and support will continue to be managed from the Blockchain Terminal after installation. Blockchain Terminal Linked Applications are to be displayed within the Blockchain Terminal Applications Store, but they will not be integrated. These applications may be registered with the Blockchain Terminal for product placement. When users select a Linked Application, they will be brought to a non-integrated application in a different online location. These applications will be curated applications that are promoted to Blockchain Terminal users. Each application available in the Blockchain Terminal will be the best of breed. We are committed to building out a robust developer program for third-party developers and vendors. Qualified developers can contact Gabriel Ortiz to get involved. The crypto industry has gotten used to a lot of hype and endorsement from the mainstream media recently, so it is easy to think that the ecosystem is mature enough for widespread adoption. But when you look at the nuts and bolts of trading and transaction, it is clear that the crypto industry still has a long way to go. For example, trading crypto is more inconvenient than regular stock trading by orders of magnitude. Between irritating Know Your Customer (KYC) and Anti-Money Laundering (AML) requirements, inconvenient trading platforms, and poor customer service support, trading crypto is much more basic than conventional investors would be used to. With mass reports of institutional investors from Goldman Sachs to George Soros getting involved in crypto trading, there is clearly a gap to be bridged between the way we trade and the way we should be trading. One way that the trading experience for conventional investors is so much better than crypto is the technology they use. Trading terminals like that of Bloomberg allow for rapid deep analysis and transactions to be made. In crypto, where compliance/regulation concerns are very relevant, there is no comparable level of assistance provided by these terminals (which include notifications and guidelines pertaining to how to trade within regulations). This is missing from the crypto industry, and traders are losing out as a result. However, Blockchain Terminal is a company addressing this need with their new terminal which could act as an essential tool for all serious investors. bridges the gap between institutional investors and the unfamiliar cryptocurrency market. By combining market data from top cryptocurrency exchanges, information about upcoming ICO’s, as well as news from publications and social media, our hardware creates a complete picture of the crypto world. Perhaps most interestingly, BCT helps users work with exchanges that can be very time to consume in many cases. Cryptocurrency exchange integrations utilize ComplianceGuard technology to display information on the vast majority of approximately 1,400 cryptocurrencies, all in a compliance-vetted environment. The team hopes that this array of benefits will be of interest to both experienced crypto traders dissatisfied with the clunky nature of current trade and to traders who are new to crypto and want to keep using the kind of effective solutions they are accustomed to. The amount of trades and transactions done in such a terminal requires thorough accounting and data management, which is why a token is necessary to underpin the system in order to provide oversight. For this reason, the BCT team is releasing a token which should also help spread the word about their platform. The BCT token sale is live and will run until April 30 with no minimum buy-in at tokensale.bct.io. Blockchain Terminal, a crypto trading and information ecosystem, will feature Gemini, a cryptocurrency exchange, on its platform. Users will have priority access to the Gemini exchange through a private cross-connection. 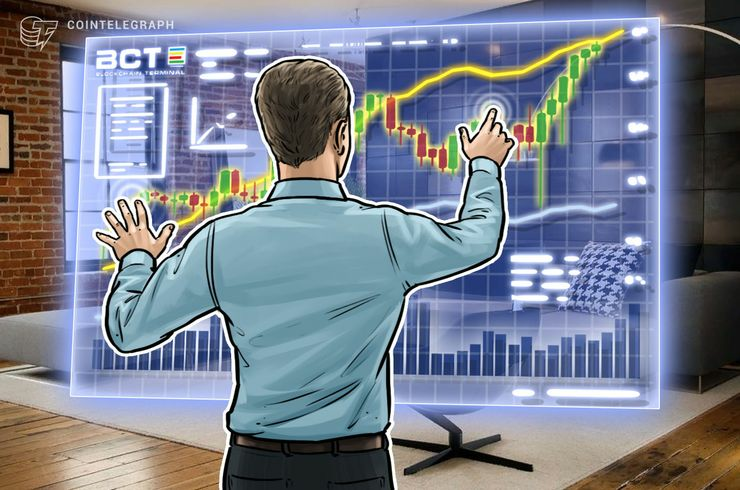 Blockchain Terminal offers third party crypto-trading tools, information, content and data from more than 80 exchanges in order to give traders a better view of the cryptocurrency market, according to a press release. The platform is currently in beta testing with hedge funds. 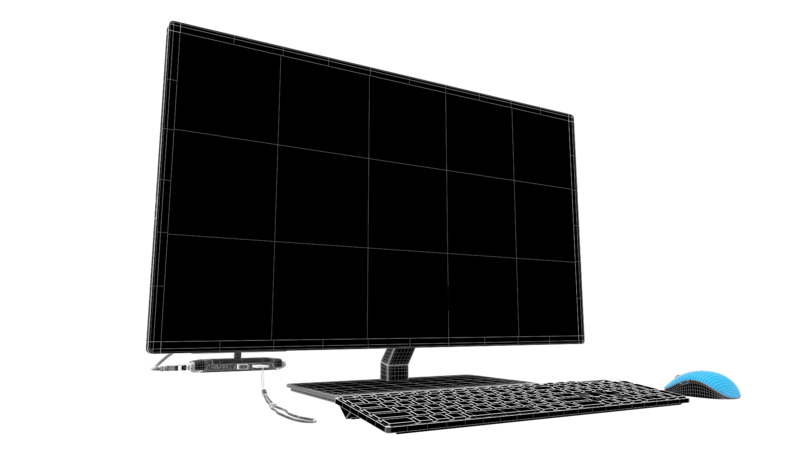 A wider launch is slated for the third quarter of 2018. Gemini is the fifth fully executable exchange on Blockchain Terminal. "Institutional investors are looking for greater regulation and opportunity within the crypto space," said Jeremy Weiss, CEO for BCT Inc. in the Asia-Pacific region. "Gemini is one of the most highly regulated crypto exchanges in the world and offers one of the largest liquidity pools available for execution on our platform. We are delighted to work with Gemini to help bring our users the value, choice and security they need." TradeRiser is a decentralized ecosystem and Research Assistant platform for investors and traders, that is set to capture a sizable portion of the trading industry worth trillions. 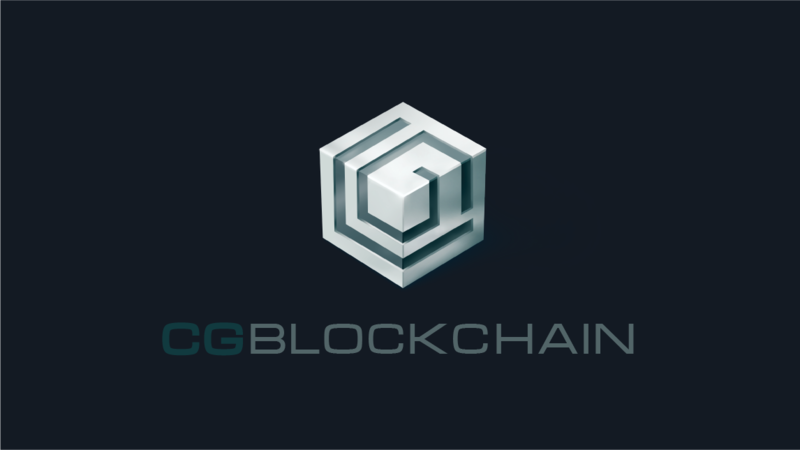 Today it has announced a collaboration with CG Blockchain, Inc., a New York based company developing powerful sets of blockchain-based tools and services for the financial services industry. BCT is creating a standardized storefront for developers and third-party vendors to distribute crypto trading applications to hedge funds and other institutional investors. Under the proposed collaboration, TradeRiser’s Research Assistant technology will be available under the BCT’s Blockchain Terminal storefront. This move will further TradeRiser’s client reach and also accelerate user growth on the Blockchain Terminal. TradeRiser’s goal is to nurture an ecosystem featuring financial analysts, hedge funds, exchanges and many more participants. TradeRiser is an AI based Research Assistant to shorten investment research cycles from days to minutes, a challenge faced by many financial institutions and sophisticated retail traders. With the help of training from the ecosystem the Research Assistant will be able to answer a million distinct types of natural language questions about the impact of events and general statistics on cryptocurrencies and other asset prices. 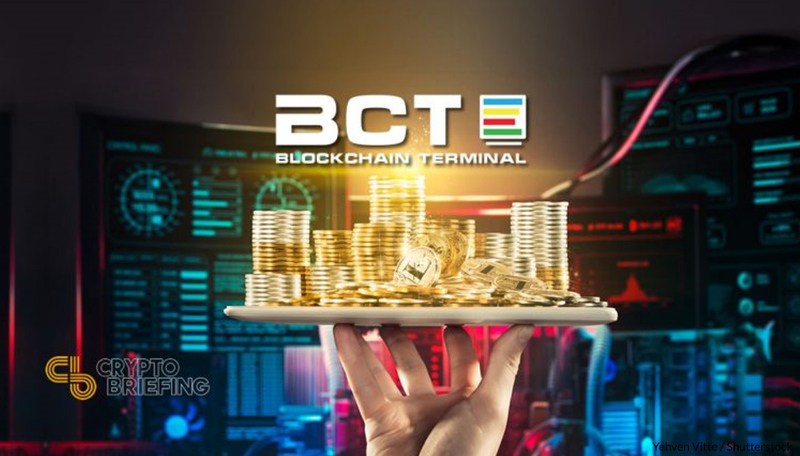 Partnering with BCT Terminal is a very good strategic move for both parties. We believe our clients will be the overall winners, having access to the best in technology within cryptocurrency trading space. My team and I look forward to the integration work and will be making further announcement upon completion of the work” says Dennis Owusu-Ansah, CEO of TradeRiser. SINGAPORE, June 08, 2018 (GLOBE NEWSWIRE) -- BCT Inc today announced the placement of its first Blockchain Terminal, a powerful crypto-trading platform to enable hedge-and crypto-funds to enhance trading profits and mitigate risk with built-in compliance tools and apps, in the APAC region at Dios Asset Management, a fund run by Mr. Alvin Teo, CEO and Founder. Between June 2017 and 2018, cryptocurrencies Bitcoin and Ethereum have increased in value by 262% and 231% respectively. This type of growth has fueled the rise of companies like Blockchain Technologies SPC in 2017, which launched the Cryptocurrency Balanced Large Cap Fund SP, the first regulated and institutional grade crypto fund, managed from Singapore. Scott Littlewood, Fund Manager, highlighted, “Blockchain Technologies is structuring fund strategies for cryptos, and we are waiting for the opportunity to pilot the use of a data aggregator like Blockchain Terminal in our work. 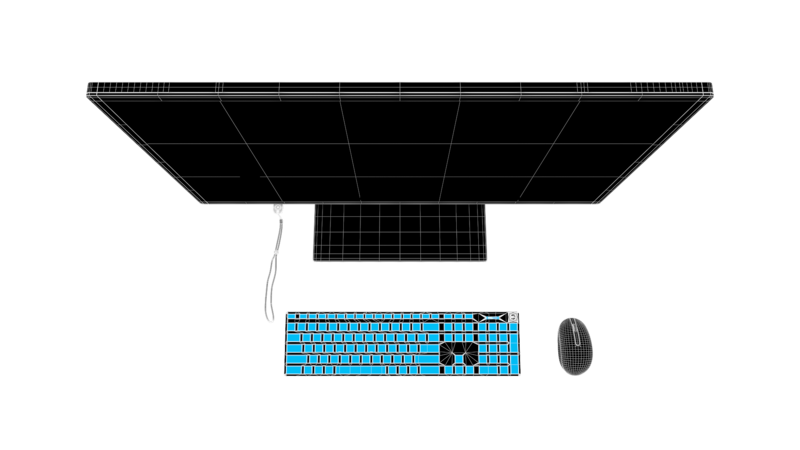 Tools like this are needed in this industry." BCT recently installed Jeremy Weiss as CEO, APAC to lead the office, grow distribution channels, and expand operations in the region. Dios Asset Management Pte Ltd is formed by a group of experienced investment professionals brought together by a common passion to create a dynamic and transparent investment house. It is a Registered Fund Management Company regulated by the Monetary Authority of Singapore and Dios brings together knowledge from sovereign wealth fund, hedge fund, fintech & real businesses to synthesize the next stage of fund management. Please see www.diosam.com for more details. Blockchain Technologies SPC is a fully regulated, segregated investment vehicle managing multiple fund strategies in the crypto universe. With high class service providers and partners and IT & Cyber Security at the core of the offering, we help institutional clients get safely invested in the digital asset markets. BCT Inc is developing the Blockchain Terminal, an industry-standard trading platform for cryptocurrency. The Blockchain Terminal is an institutional-quality wealth management tool with an open ecosystem that will enable third-party blockchain developers to distribute crypto-trading tools, information, and content to the traditional finance industry. It bridges the gap between traditional investment and the emerging crypto space. The platform includes a robust order routing system to enable trading across multiple exchanges through third-party applications to ensure best execution. Users will need the ERC-20-compliant BCT Token to operate the Terminal, including accessing registering, transacting, and utilizing applications. The Malta Stock Exchange is now an official beta tester of The Blockchain Terminal! A huge moment is fast becoming a mainstay in the Community! Images from the BCT booth at the Singapore 2018 World Blockchain Forum, June 6 - 9. The BCTerminal set up at a couple of the Consensus 2018 events. BCTerminal installed in Steve Levine's office! Official BCT Photos from Mandarin Oriental Hong Kong Inaugural Event (April 30) The event was a resounding success. The Terminal arrives in Dubai terminal. It's a packed room here at the Melbourne Crypto & Blockchain Convention being run by @wholesaleinvest for BCT Ex-President, Bob Bonomo's talk. @david_G_D getting a kick out of the the latest beta @BCTerminal. Don’t we like such big smiles! Another beautiful day in Santa Clara with the Visit Al and at booth 44! We're having a blast in Singapore and excited to start Money 20/20. If you are attending, be sure to pass by our booth for a demo! 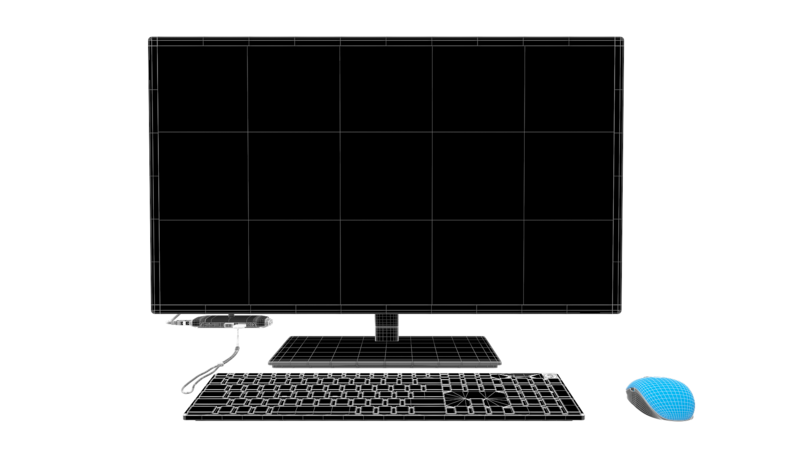 Did you know @brockpierce has one of our Terminals in his home? This License Agreement (the “Agreement”) by and between BCT Inc (the “Licensor”), a company organized under the laws of Saint Vincent and the Grenadines with an address of 1st Floor, First St. Vincent Bank Ltd. Building, James Street, Kingstown, Saint Vincent and the Grenadines and the purchaser of the Blockchain Terminal (the “Licensee”). This Agreement shall take effect on the date and time (the “Effective Date”) that the Licensee clicks an “I Agree” or “Confirm” button, check box or other indicator of agreement presented with this Agreement on the Licensor website (bct.io) (the “Licensor Website”). The Licensee will then be bound by this Agreement and all terms incorporated by reference as of the Effective Date. If the Licensee has any questions regarding this Agreement, please contact the Licensor at legal@bct.io. “BCT Tokens” are digital tokens issued by BCT Inc SECZ (“BCT Cayman”), a Cayman Islands exempted company. “Contributors” are persons who purchased BCT Tokens in a token sale event. “BCT Credits” are store credits as described in Section 4(a) (collectively, BCT Tokens and BCT Credits, “BCT”). BCT Cayman is the developer of Blockchain Terminal, an institutional-grade cryptocurrency platform and app store that unites traditional investment with the emerging cryptocurrency industry. Blockchain Terminal users may purchase apps and crypto-trading tools developed by third-party blockchain developers using BCT Tokens or BCT Credits. BCT Cayman has a non-profit mandate and is a wholly owned subsidiary of BCT Foundation, a non-profit Cayman Islands foundation. It is expressly understood that the Equipment is, and shall at all times remain, personal property of Licensor or its assignee, except as provided in this Section 1(b) and in Section 1(c). 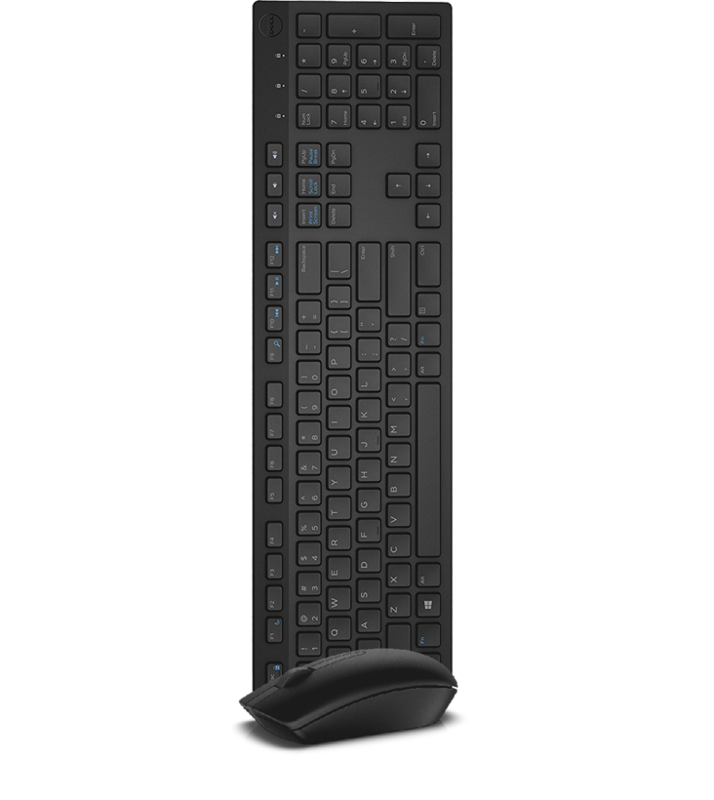 The Equipment shall include (i) a thin client hub (i.e., microcomputer) containing the Licensor’s software, (ii) a monitor, (iii) a private key device (the “Private Key”), and (iv) a wireless mouse and keypad. The title to items (i), (ii) and (iv) of the Blockchain Terminal shall at all times remain with the Licensor, and title to the Private Key (item iii) shall transfer to the Licensee upon the Delivery Date. The Licensee shall have no right, title or interest in the Equipment except as expressly provided herein. So long as the Licensee is not in material default of any conditions herein, the Licensee shall have the right of quiet and peaceful use, possession and enjoyment of the Equipment, subject to the conditions of this Agreement. 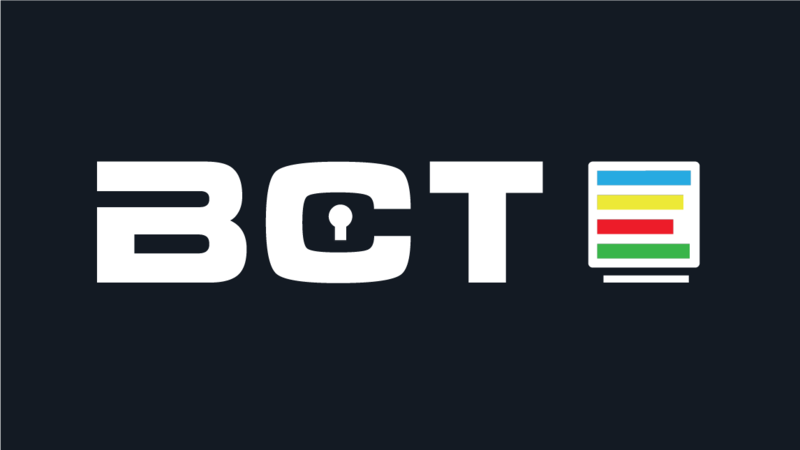 The price of BCT Credit and BCT Tokens, for purposes of this Agreement, is fixed at $0.10 per BCT until the May 1, 2019 (i.e. the end of the restrictive period for certain BCT Tokens). The Licensor reserves the right, in its absolute discretion, to issue bonus BCT Credits when BCT and the Blockchain Terminal are purchased together. The Licensee shall have the right to obtain a full refund of the BCT Credits that are purchased along with the Blockchain Terminal if the Licensee shall terminate this Agreement within 60 days of the Effective Date as provided in Section 2(b). The refund shall be proportional to the BCT Credits being returned to the Licensor. The Licensee may request a refund in USD, Bitcoin or Ether.